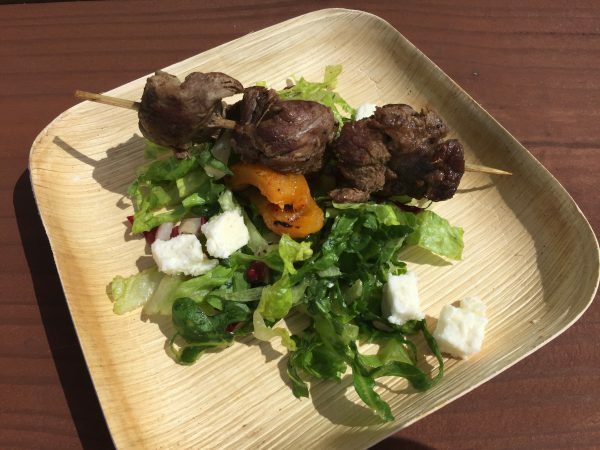 Food & Wine ’16 | It's "All in WDW"
Captivated By Disney’s Quinoa Salad! I know. I know. In yesterday’s “peanut butter post”, I said that “my Food & Wine coverage might be, more or less, done for 2016”. Well, it is. Sort of. 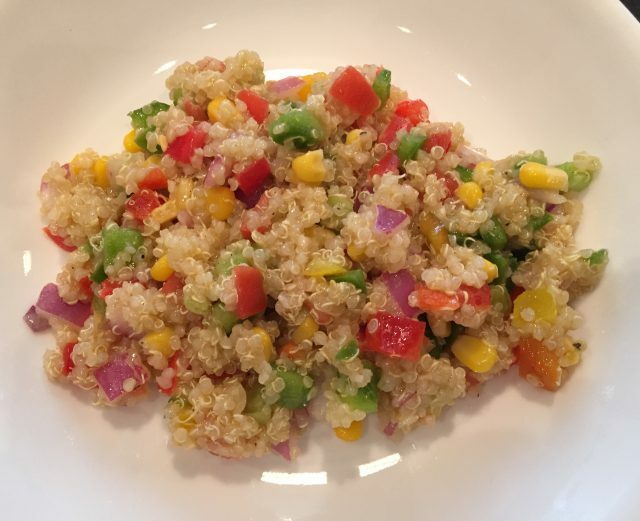 I just can’t get Epcot’s Quinoa Salad out of my head! 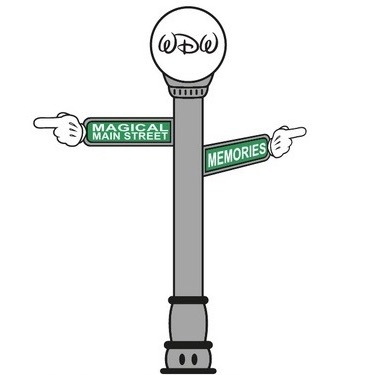 You remember it, right? How could you not? I raved and raved about it with, just about, every post I published! 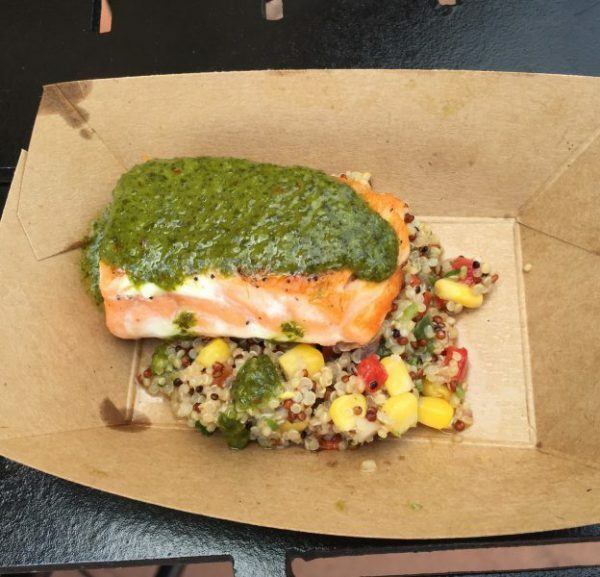 Served by Patagonia, that salad helped carry their Roasted Verlasso Salmon to the top of the 2016 All in WDW Food & Wine Festival FINAL Top 20! It finished in 2nd place! Anyway, I really can’t get it off my mind. So much so that I had to try making it for myself! How’d I do that? 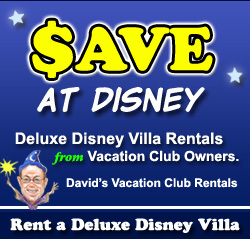 Well, I referred to Disney for instruction! 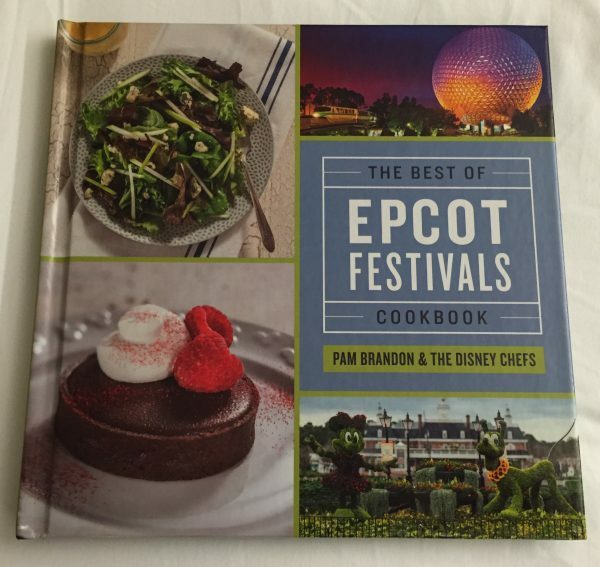 This year’s “The Best of Epcot Festivals Cookbook” is the second such festival-focused book I’ve purchased over the years. Including such recipes as “Food” & Garden’s Watermelon Salad and Shrimp and Stone-Ground Grits, as well as Food & Wine favorites like Ireland’s Seafood Fisherman’s Pie, it includes a bunch of 2016’s dishes. Enter the quinoa. I wasn’t quite in the mood for salmon this weekend, but I did have a craving for quinoa. 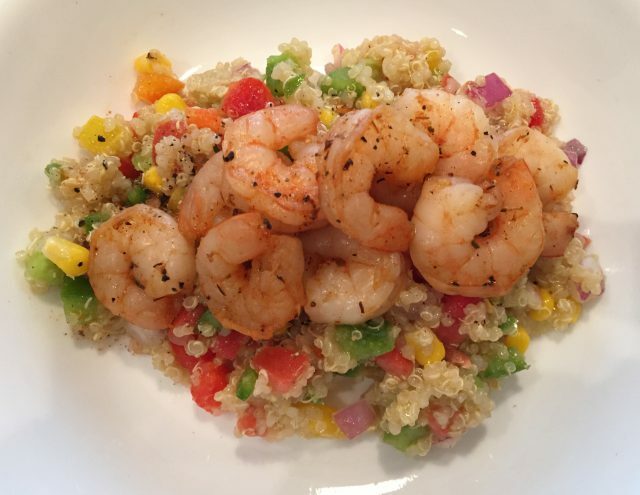 A little bit of food prep later, let me unveil Bob’s Cajun-Seasoned Shrimp over Quinoa Salad! The verdict, my friends? Mrs. All in WDW gave it two “thumbs up”! Myself? The salad dressing’s recipe calls for a generous helping of olive oil. Frankly, the next time I make the dish, I’m going to dial that back a bit. Otherwise? It was quite delicious! Recommendation? If you get to Food & Wine, buy the cookbook. 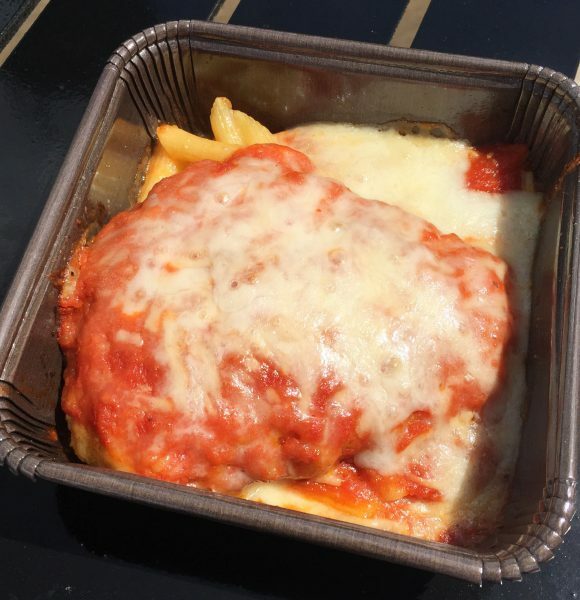 It includes most of Epcot’s most popular dishes. Wouldn’t it be great to enjoy the festivals’ delicious food at home? You bet! Hello, folks! Is it Monday already?! I guess it is. Well, let’s ease the beginning-of-the-week “blues” by diving back into Food & Wine ’16! Now, where were we? Oh, yes. 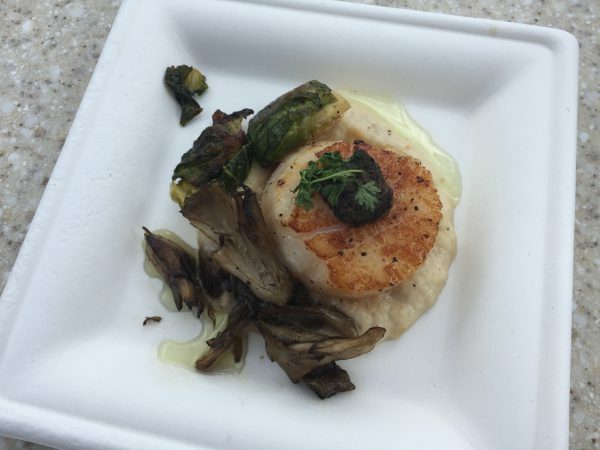 We unveiled the bottom half of the All in WDW Food & Wine Festival FINAL Top 20 yesterday. Did you catch it? No? Go back and take a look! Having done that, watch out! Here comes the Top 10! I had high hopes for this item, and Scotland delivered. Look at the portion size! Was it fancy? No. Was it good? Yes. The lamb was exceptionally tender. The accompanying veggies were good. It was a solid dish, Scotland! Good job! 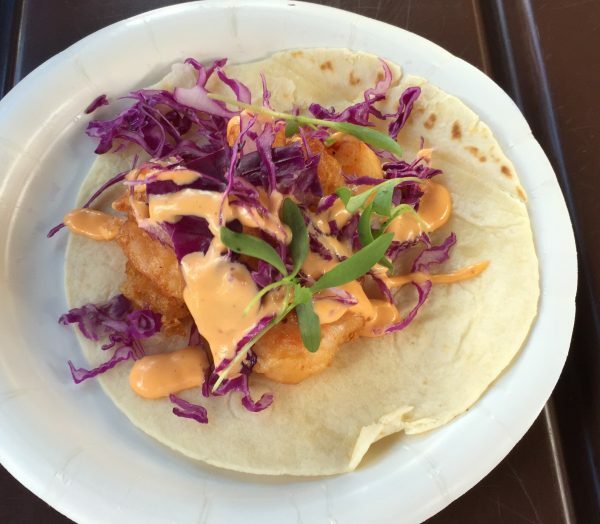 One of the most consistent and unheralded dishes at Epcot, Mexico delivered a fantastic “fish taco” once again! It might be small, folks, but its taste is mighty. You have to try this at least once, my friends. It really is that good! Identical to the braised beef that Belgium has served over a waffle in the past few years, I have to admit that I do prefer this version. More of a meal than just a “designer” waffle, the potatoes were very good. The beef was tender and tasty. It’s a good item, folks. For a Marketplace that had not even one dish on my Pre-Festival menu, Italy should be congratulated. In the end, they placed two in the finals! 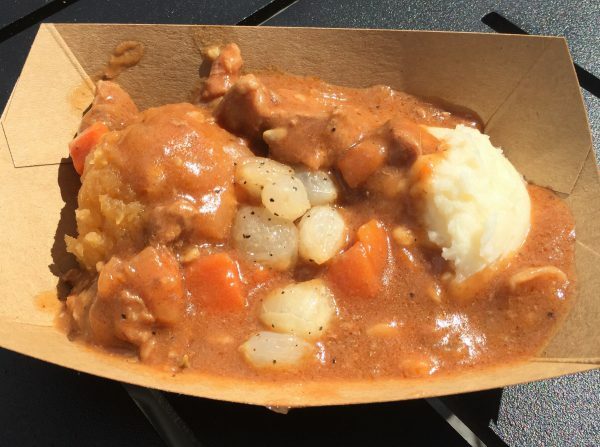 The meat in this stew was the most tender of any of the beef I had at this year’s Festival! The veggies fit perfectly. 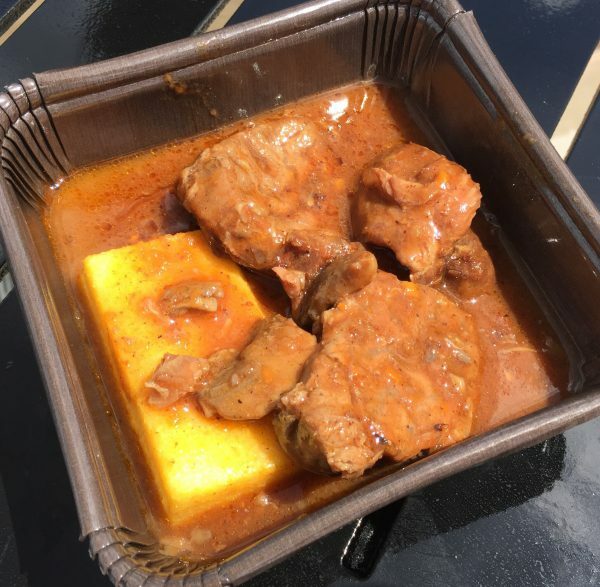 The polenta was a pleasant bonus. You’ve restored my faith in you, Italy! Speaking of “restored faith”, let’s talk about Canada’s filet! If you’ve followed me at all, you know how critical I’ve been of this popular item. Yes, I still say that the portion size provided, now, is much, much smaller than in years past. The quality of the dish, this year, however, was much, much better. In fact, in comparison to other years – where the beef was way overdone – 2016’s filet was prepared to a perfect medium to medium well. Just delicious! Well, to be the “champ”, you’ve got to beat the “champ”, and, in 2016, our two-time reigning “champ” dropped the title. Poor meatball. It was going to happen eventually, eh? I’m going to blame this one on the chutney, to be honest. First, the tomatoes presented an unwelcome sweetness that I don’t remember tasting in 2014 and 2015. Second, it overpowered the item’s “star”. 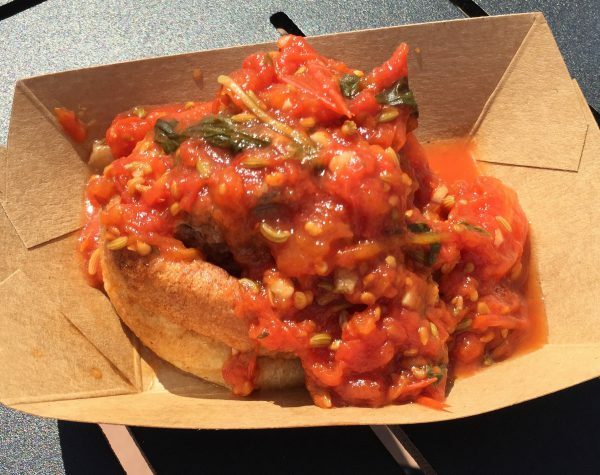 When tasted separately, the meatball was as spicy and good as ever. With the chutney, though, the dish suffered. A pleasant surprise, this might have been the best scallop I’ve ever had! You know, I usually penalize scallop dishes as the scallop, itself, is usually quite small. Not this time! The plating was beautiful! The scallop was perfectly cooked. The celery root purée was outstanding. The roasted Brussels sprouts were sensational. I have to admit … there was nothing about this not to like! I tried this one twice! Frankly, for a while there, it was in the running for “Best in Festival” and I just had to be sure that I knew how it should be ranked! Its generous portion size shot this item to the top of my menu, but its quality was nearly unsurpassed. The brisket was delicious. Tender and tasty, I could have enjoyed a heaping plateful. One tip? Use the accompanying Texas toast to make a mini sandwich. It transforms the dish. As presented by Hops & Barley, it’s great! As a sandwich, it was even better! We’ll get to the salmon in a moment. Honestly, there were two taste sensations at this year’s Festival that I’m still thinking about. The first one was delivered by this item’s Quinoa Salad. Yes, folks, it is that good. As for the salmon, however, it, too, was phenomenal. A satisfying portion and perfectly cooked, it is amongst the best salmon I’ve ever had. If you’re a seafood fan, you’ve got to try this one, my friends. And, finally, we “crown” the 2016 All in WDW Food & Wine “Champion”. In my opinion, it is the “Best in Festival”. A former two-time “champ” (2011, 2012), it has done it (won it!) again. It is Hawai’i’s pork slider! I mentioned that there were two taste sensations that I’m still thinking about? After that, above-mentioned, Quinoa Salad, Hawai’i’s pork was the second. It was a very memorable bite! My friends, I had this item twice. And, yes, I asked for additional spicy mayo twice. 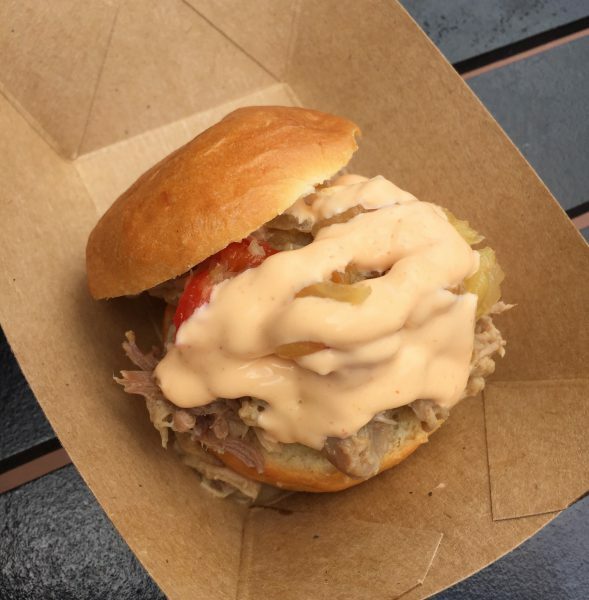 The phenomenal taste of the slider’s tender, juicy pork, easily rose above the condiments (mayo and pineapple chutney) and utterly screamed delicious both times! This is a champion-caliber dish and a Must Do! So, there it is, folks. 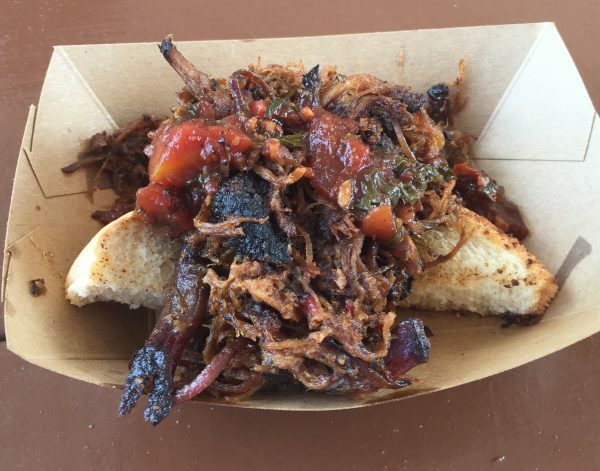 The All in WDW Food & Wine Festival FINAL Top 20 is complete. My menu recommendations are “chiseled in stone”. If you’re going to be lucky enough to attend Food & Wine this year and you want help with deciding what to try, then start at the top of my list and work your way down. Your stomach will thank me! Happy Sunday, my friends! 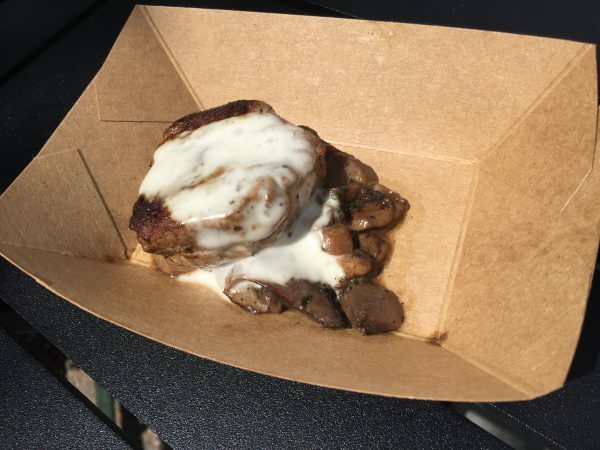 Welcome to what I feel are my favorite posts of the year – the two-day unveiling of All in WDW’s final Food & Wine “menu”! Yes, these are our recommendations for those of you who are lucky enough to get to attend Epcot’s big Fall “party”. 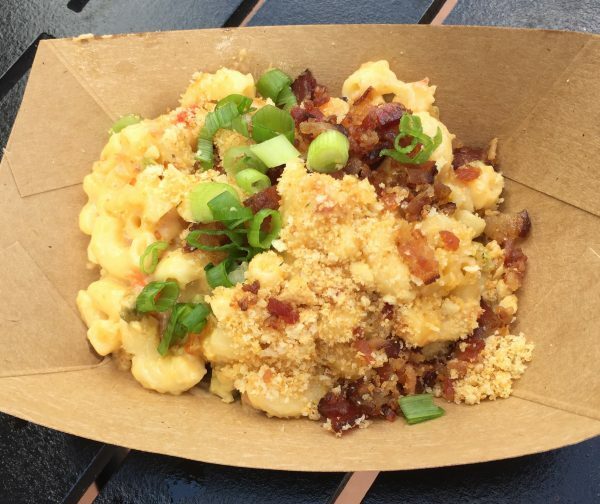 This is the 2016 All in WDW Food & Wine Festival FINAL Top 20! I approached 2016’s food-fest from a bit of a different perspective this year. How so? My Pre-Festival menu was a collection evenly split between returning (veteran) dishes and new (rookie) items. How’d they fare? We’ll see the detail in a minute, but, in short, the vets still “rule the roost”. In fact, three of the rookies didn’t even survive the final cut! The good news, though? Those three were replaced by three other new items. They just weren’t good enough to beat out some of the other dishes we enjoyed much more. And, what were those? Well, let’s count ’em down. Here is the FINAL Top 20! Look back at my Flash Report and you’ll see that I was very vocal about the fact that I didn’t enjoy this dish. 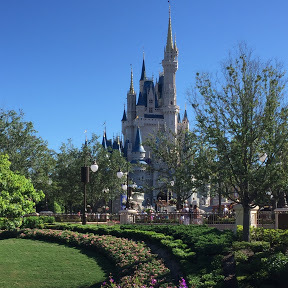 On the WDW Main Street Podcast, I said that I was going to cancel it off my list entirely! How does it make my Final 20, then? I realize that I have to be reasonable. First, it’s The Chew. You’re going to want to try it. Plus, its appearance is great and there’s two months of Festival to go. Will they improve upon the serving I received. Undoubtedly. The bacon is the most-redeeming part of this recipe, I’m afraid. In fact, I felt that the Mac, itself, was lacking in Cheese. In addition, for my palate, the dish included way too many bread crumbs. A wildly popular dish, I felt it needed to, at least, remain on my menu. I know you’ll likely try it, as well. If the pork was less over-done and tough, this item would have finished higher on my list. It was a generous cut and well-designed dish. When the best part of a presentation is the side, however, its final “grade” has to reflect its performance. Bean ragoût, yes. Pork, not so much. 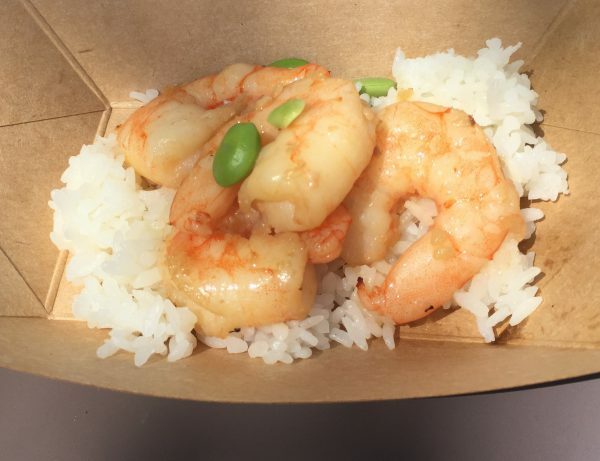 I’m really glad that Epcot has started presenting their Festival shrimp dishes without the tails. It makes for a much more sanitary “sharing” experience, for one thing. The only problem with this item, though, was its lack of “zing”. Its flavor profile was pretty bland and uninteresting. It needs to be more memorable, Japan. Sorry. An impressive serving size, Italy! The last time I experienced one of your chicken recipes, you served up a little tenderloin. This is the first of our “replacements”, by the way. Not on my original Pre-Festival menu, this dish helps rescue us from the three aforementioned “cast-outs”. Although the sauce was pretty ordinary, it was, all in all, a pretty worthy item. I’d still like to see you bring back your Beef Bolognese Cheese Ravioli, Italy, but that’s another story. Oh, wow! It fell this far? Pre-ranked at #2, it plunges to #15? Yes, I’m afraid so. 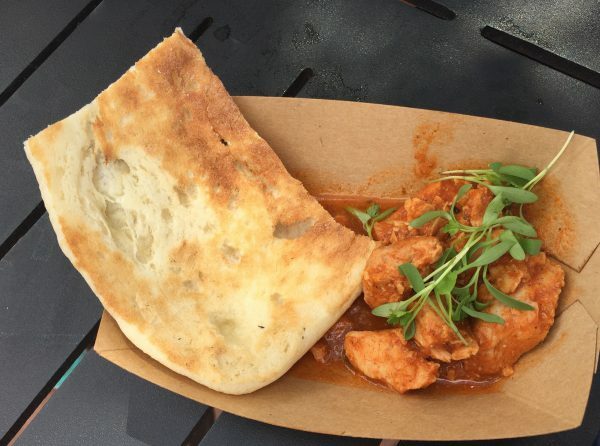 Two years ago, Brazil served us a plate pulled from under a heat lamp. It was mediocre, at best. Last year, the dish they provided was freshly assembled. It nearly “won” the Festival. This year, we were back to the heat lamps. Need I say more? Another big “loser” in comparison to my expectations, Africa’s chicken entered the Festival ranked at #3. Maybe I’ve got Sanaa’s excellent preparation stuck in my mind, but I just wasn’t that impressed with Food & Wine’s rendition this year. Or, maybe I ranked it too high last year? I’m not sure. The bottom line is that I felt there were thirteen better items on which I’d rather see you spend your money. Yes, the beef was just a tad overdone this year. Like The Chew’s skewer, however, I’m sure that Patagonia will get that sorted out. 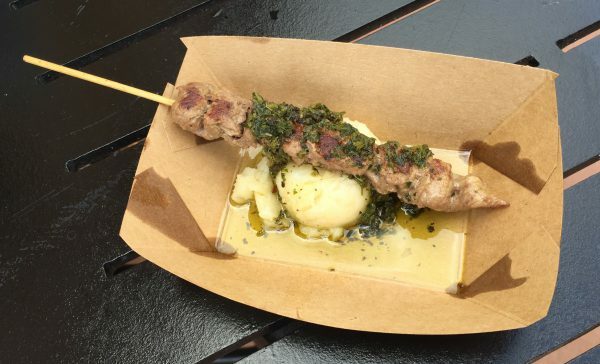 The redeeming part of this recipe is in its chimichurri sauce and potato purée. That delicious medley is a combination that is impossible to ignore and hard to beat! 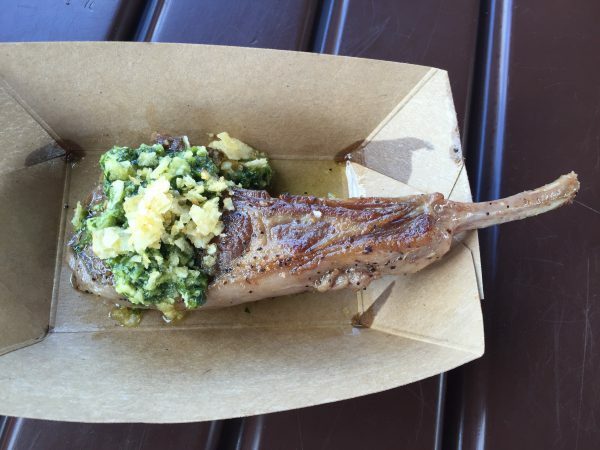 Mrs. All in WDW really hates it when I rank her beloved lamb chop this low. I know. I’ve said that before. Truthfully, she thinks Australia’s marquee dish is the very best Epcot offers. I think the potato “crunchies” give it great originality. However, the texture of the lamb when it’s served this way just isn’t my “thing”. 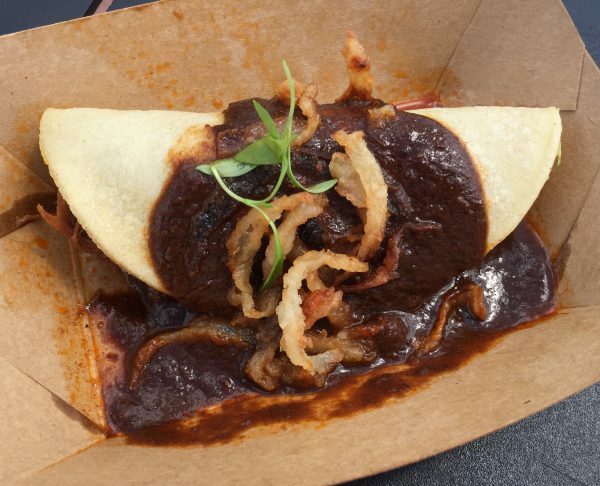 The second of our “replacement” items, the flavor of this enchilada’s beef won it onto my menu of recommendations. As I’ve said in the past, I’m not a huge fan of corn tortillas, but the spicy deliciousness of this item’s filling was undeniable. There. 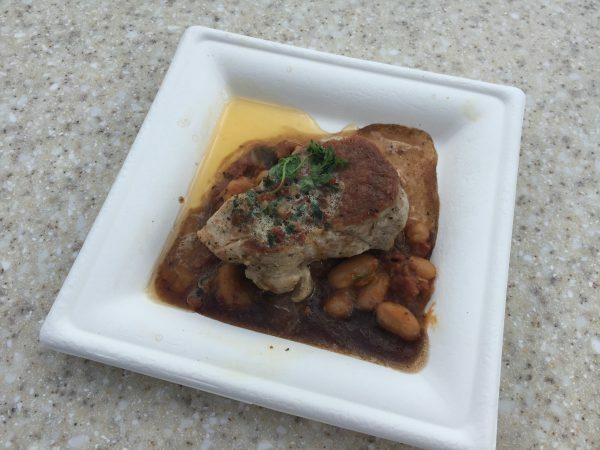 You, now, are in possession of the bottom half of the All in WDW Food & Wine Festival FINAL Top 20! What do you think, my friends? 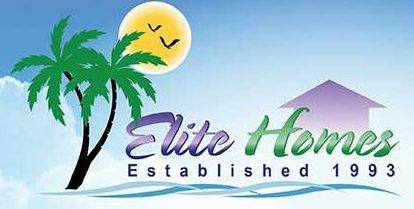 What would you choose to enjoy? What did I rank too high? What did I rank too low? Stop back tomorrow, folks! We’re not done! The Top 10, as well as our 2016 “champion”, will be revealed! A Readers’ “Menu”: Erin’s Food & Wine Top 20! Good Saturday, foodies! Have you had enough of Food & Wine ’16 yet? I hope not! 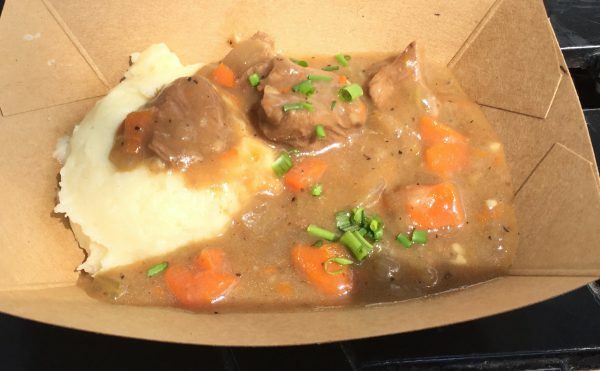 Have you stopped by throughout the week to view our “cruise” through Epcot’s Marketplace menus? No? Then, here’s what we’ve seen so far! So. Where do I stand at this point? Well, for my part, the 2016 All in WDW Food & Wine FINAL Top 20 is under construction. That menu should be released very soon! I guess the big question is … which of these dishes will finish at #1?! In the meantime, if you want to hear my initial thoughts about this year’s “party”, catch this short episode of the WDW Main Street Podcast. 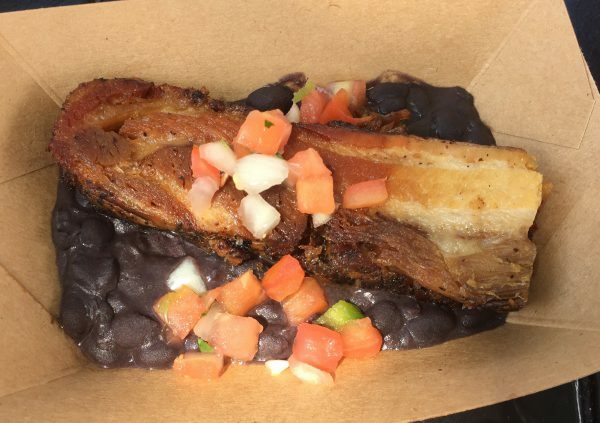 Live, and in-person from Disney’s Coronado Springs Resort, the Main Street gang and I talk Food & Wine ’16! Finally, as we dashed through World Showcase last week, we stirred up a lot of excitement. One of our Readers, in fact, supplied me with her own Top 20! Using the 2016 All in WDW Readers’ Food & Wine Festival Top 20 as a guide, I want to thank Erin for her views. Here is her menu! Bon appetit!